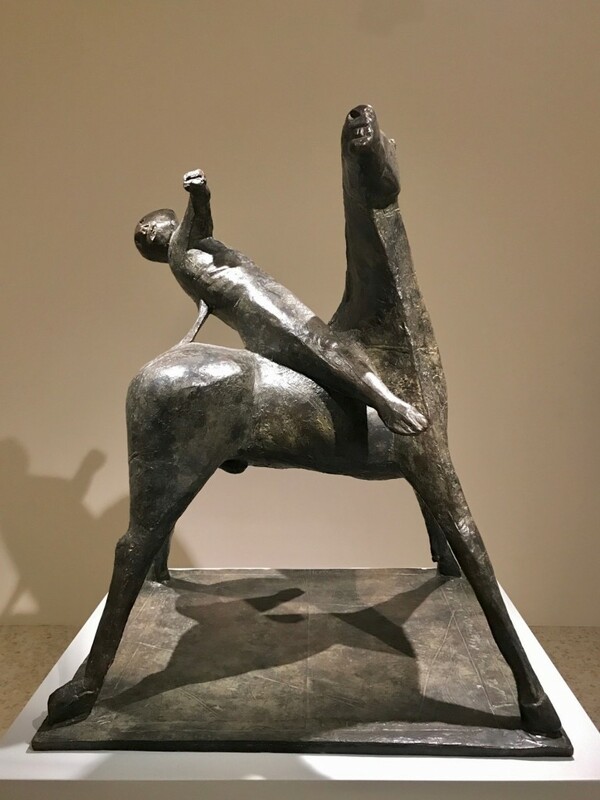 Marino Marini was truly an artist of the twentieth century. 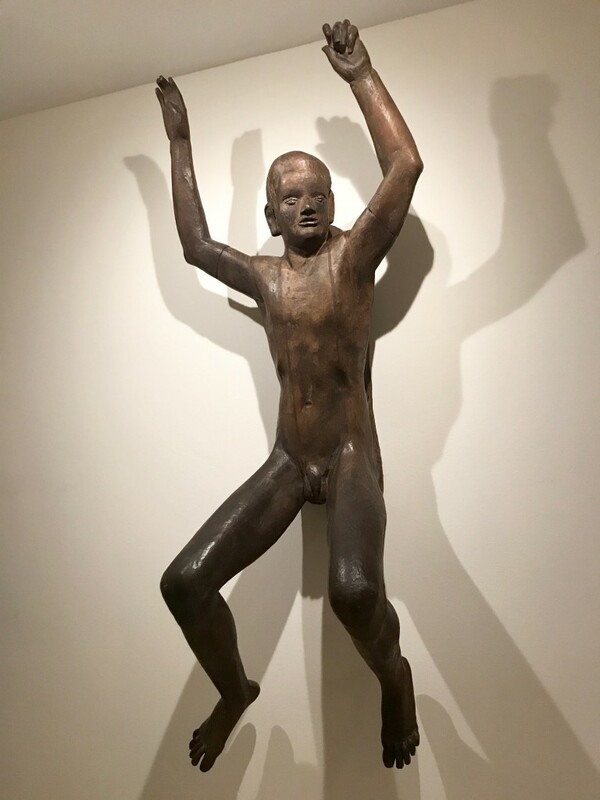 Born in Pistoia, Italy, in 1900, he lived 80 years, spanning a crucial period of Italian modern art. 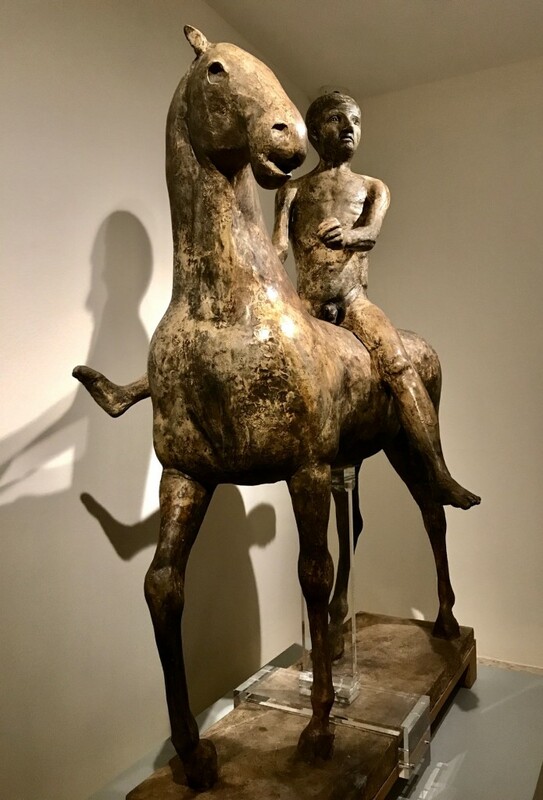 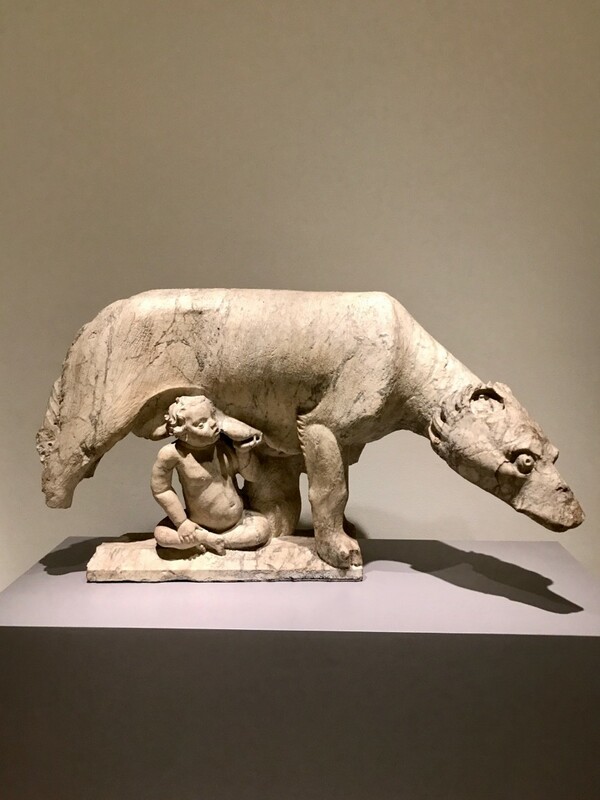 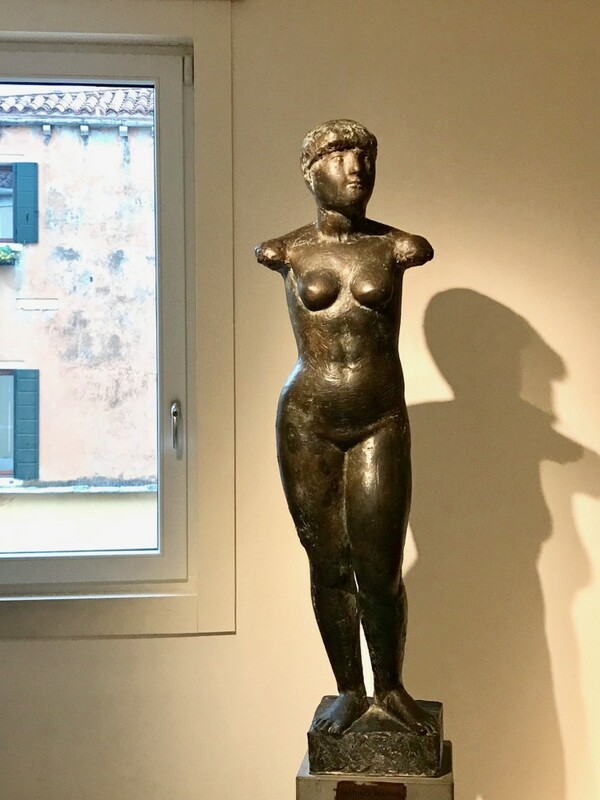 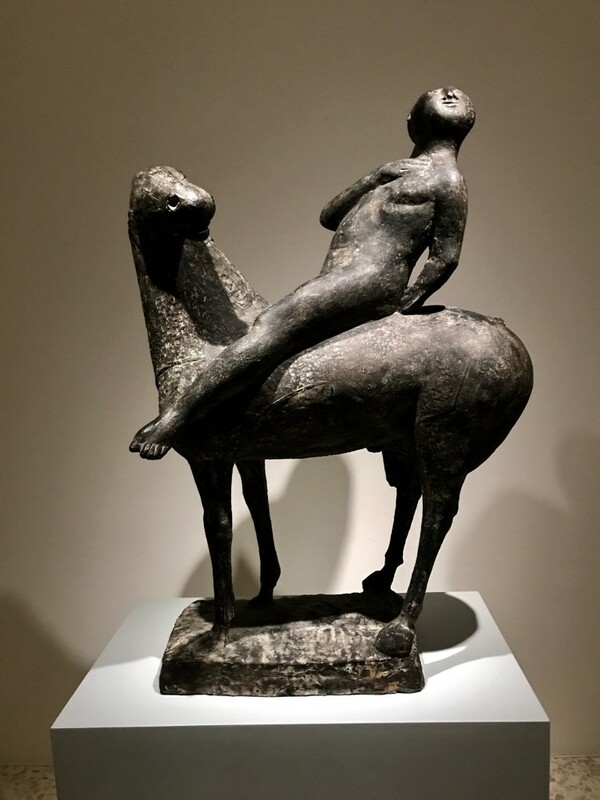 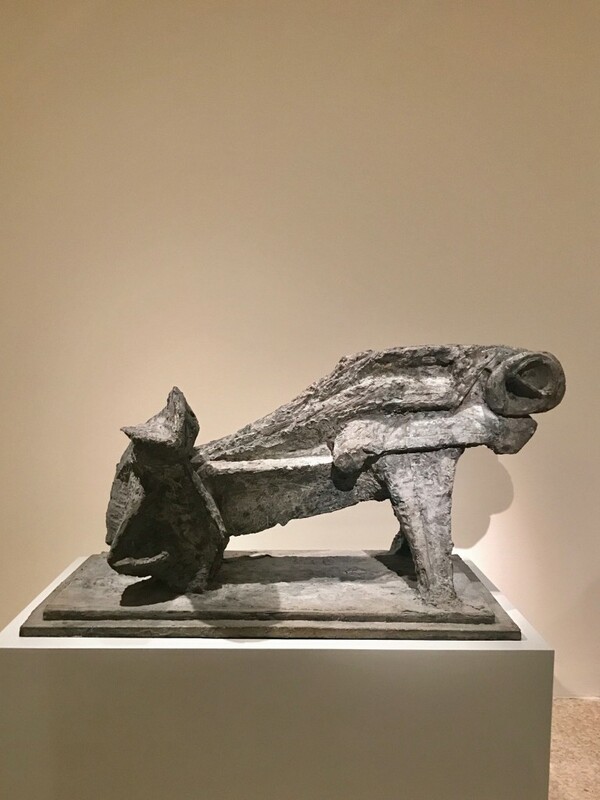 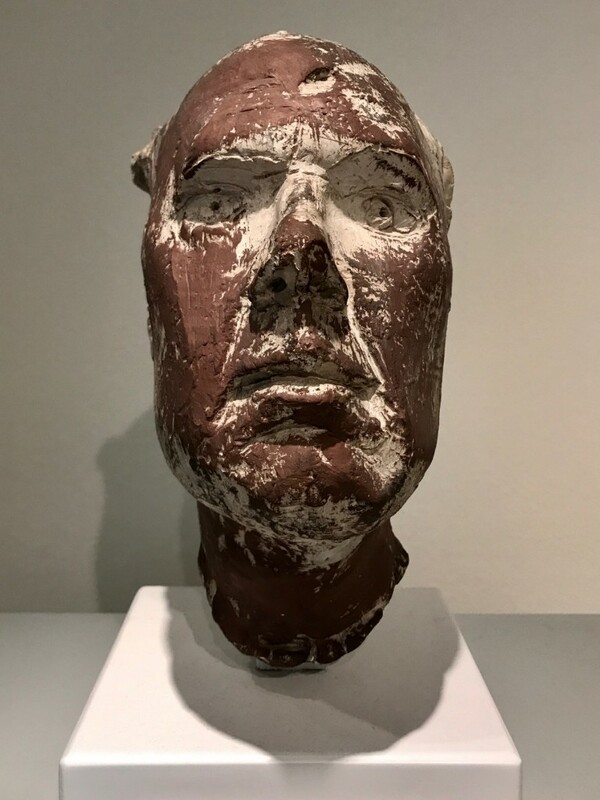 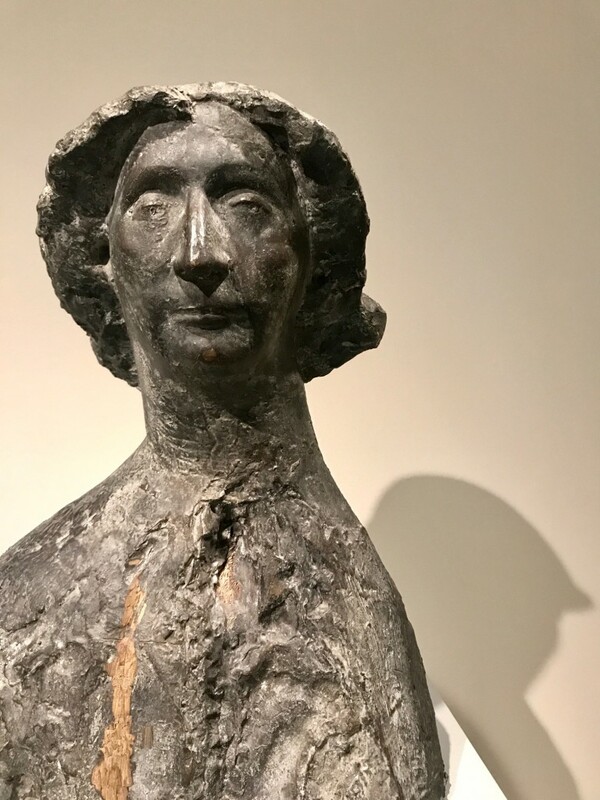 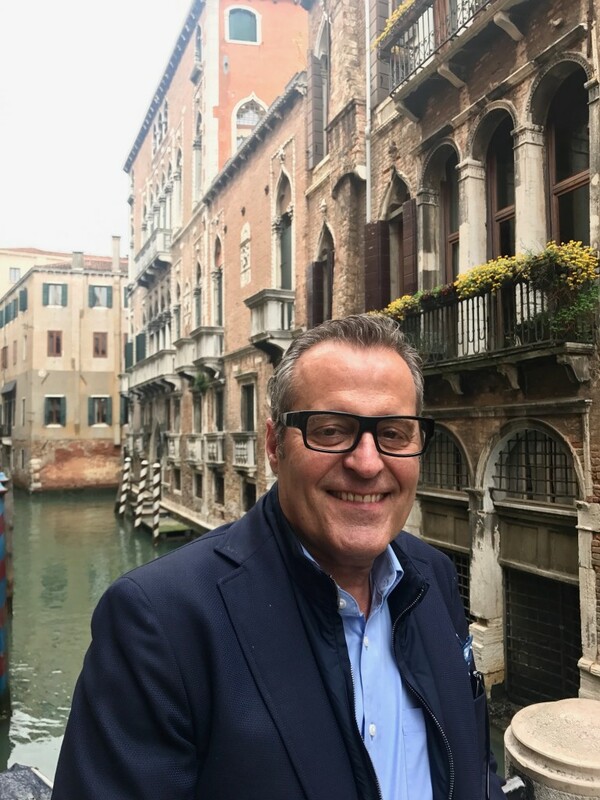 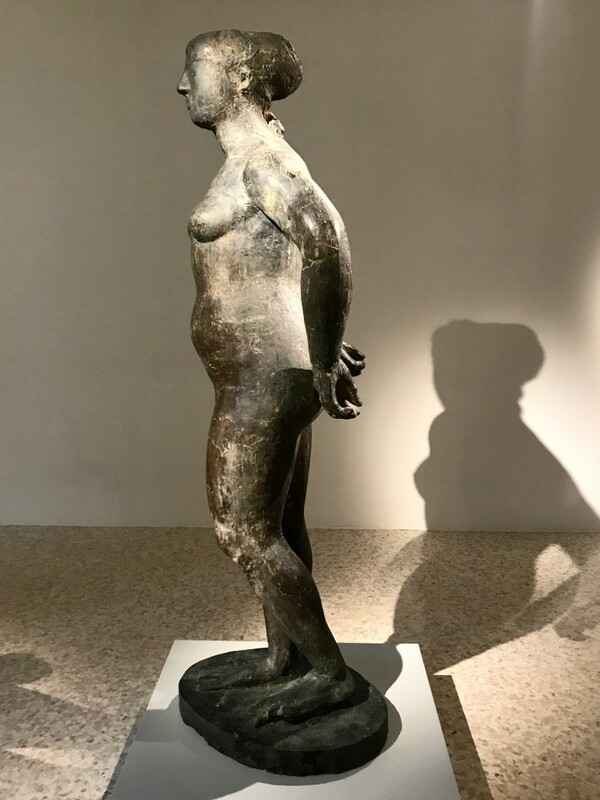 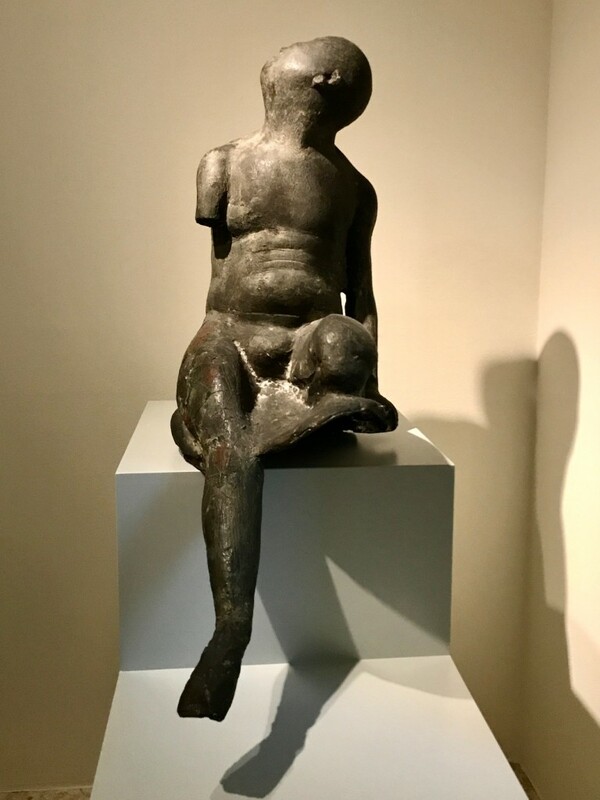 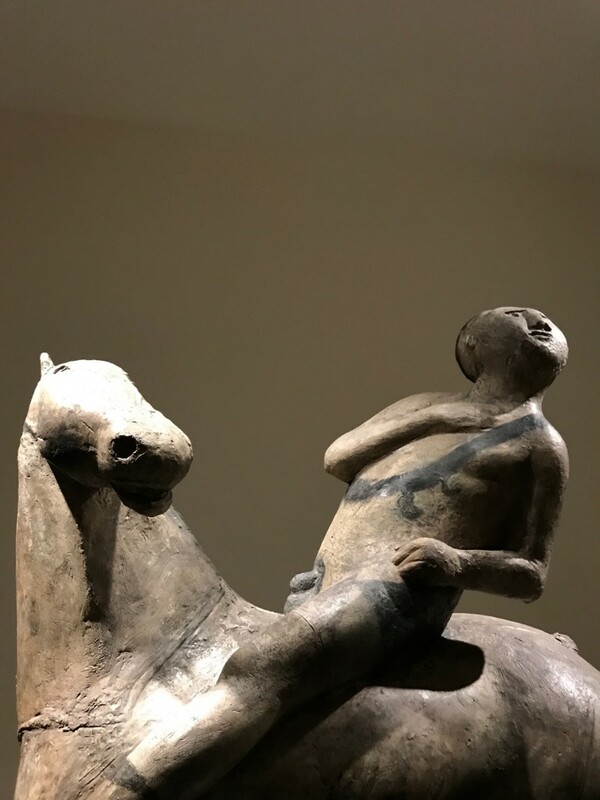 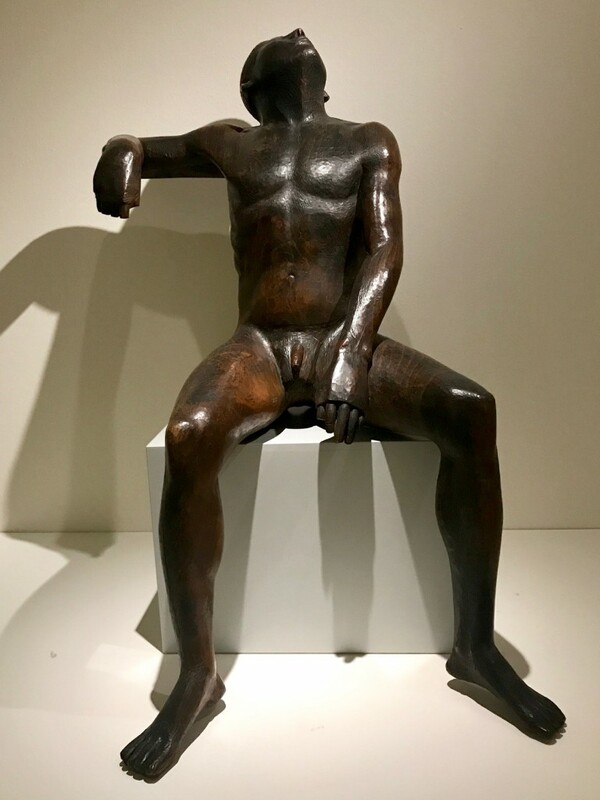 A recent exhibition at The Peggy Guggenheim Collection in Venice offered a touching survey of his work, including examples of Etruscan and Roman works that influenced him, along with works by Rodin and others that also certainly influenced his beautiful and iconic creations. 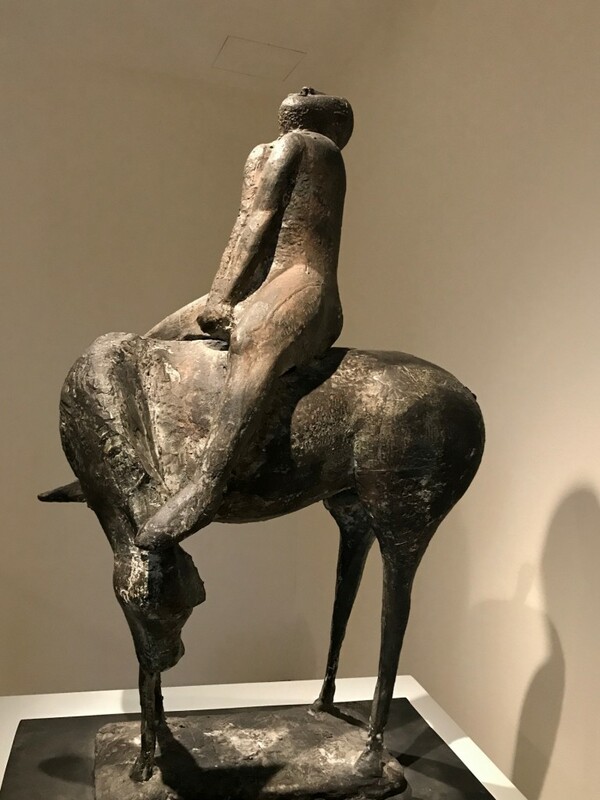 It is clear from the curation that Marini was always passionate about balance as much as form. 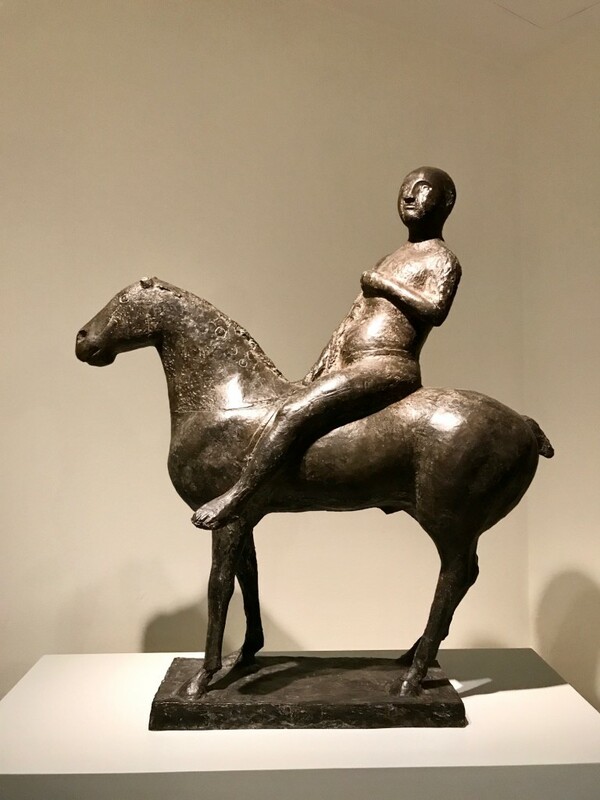 His early work looked to the Etruscan model of simplicity and silhouette for a modern departure from the hyper-realism of the Salone-driven art of the previous century. 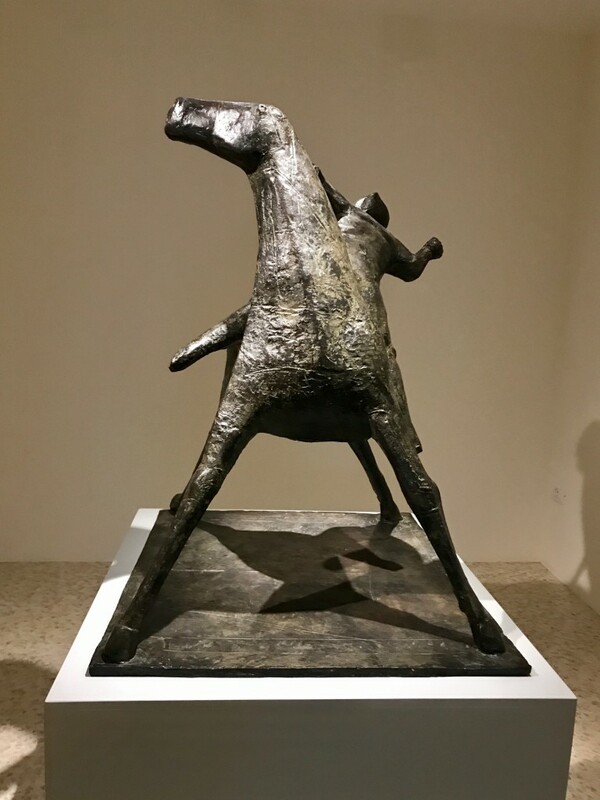 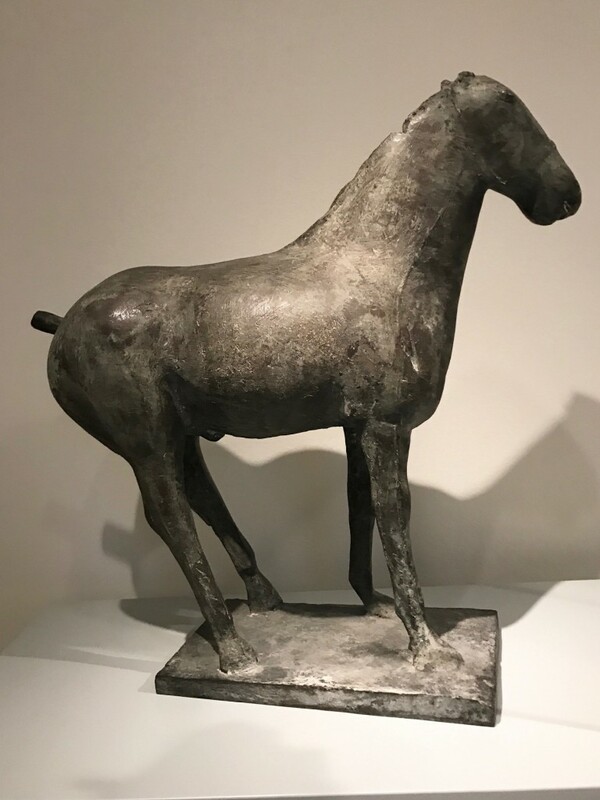 International fame came with inclusion in the collection of the Museum of Modern Art New York in 1958, with the purchase of one of his Horse and Riders. 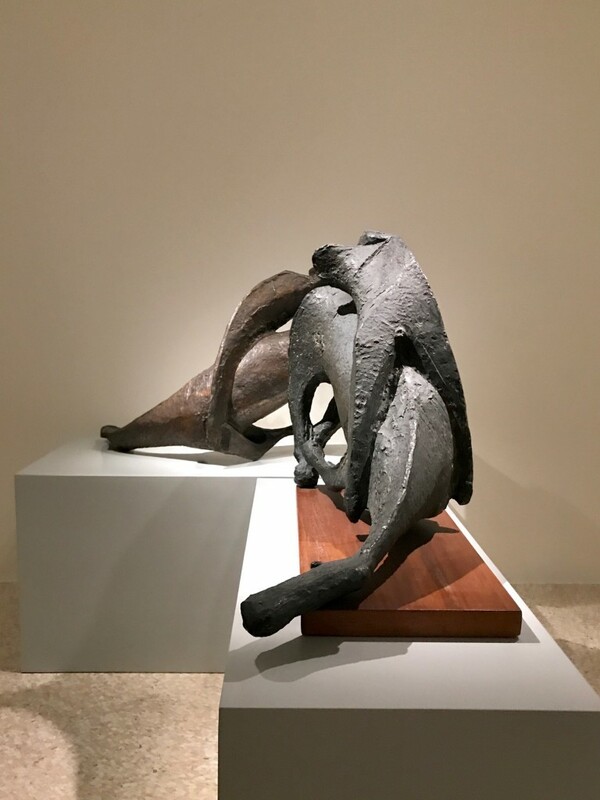 This form became his hallmark, advancing through ever more abstracted compositions of the subject. 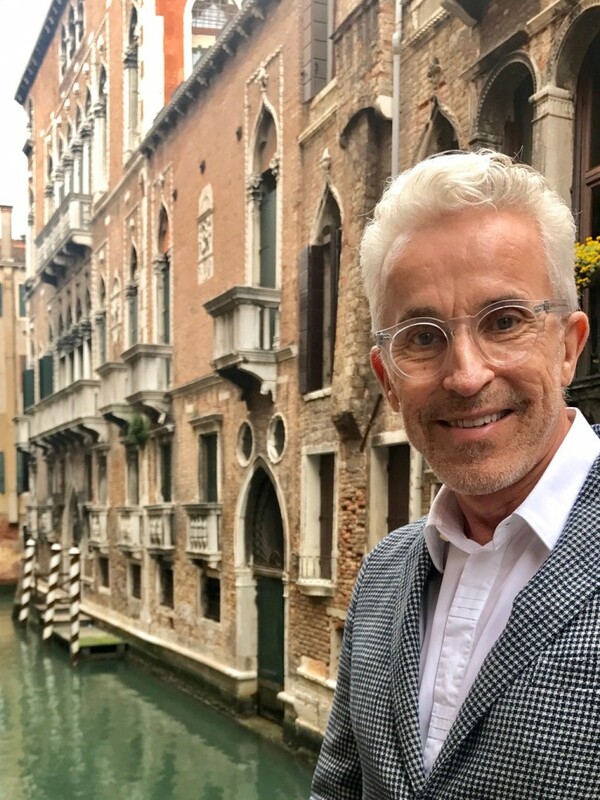 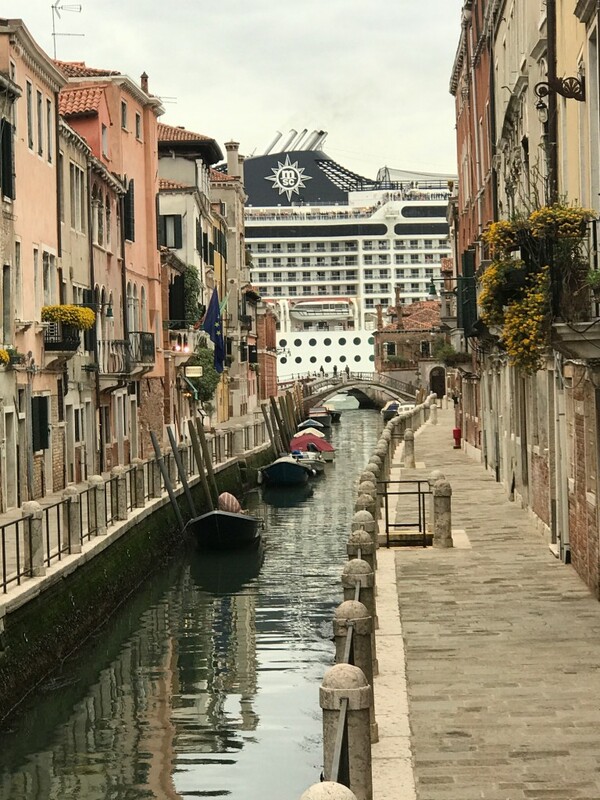 Arthur and I are shown leaving our Palazzo Molin in San Marco for a stroll to Dorsoduro and Peggs’s magnificent Palazzo non finito.